Neckwear brand BlackBird created the perfect business tie for the modern man. 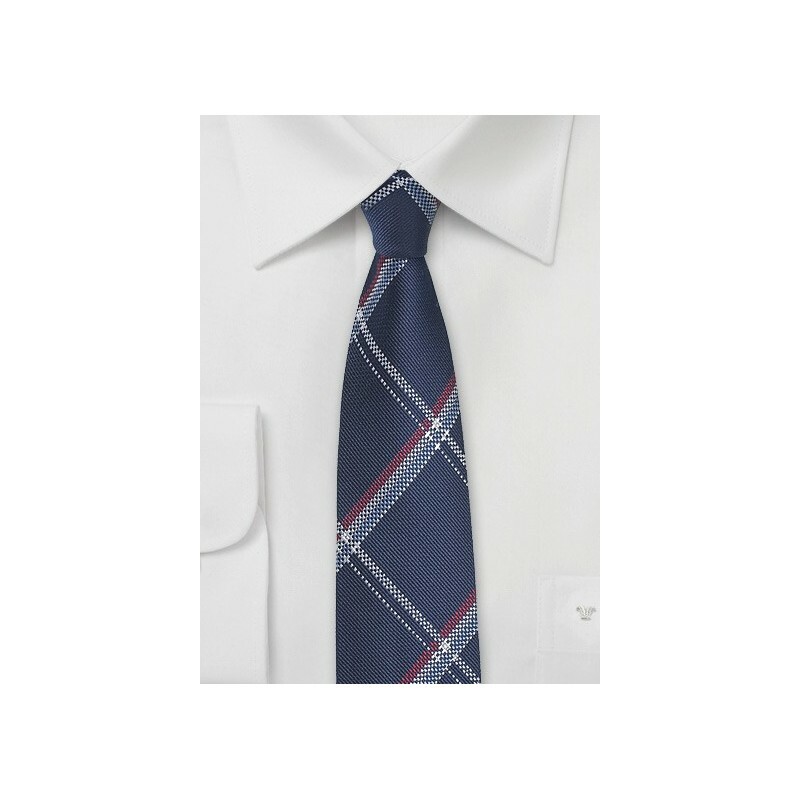 The classic colors and timeless plaid design are perfect for any suit and shirt. 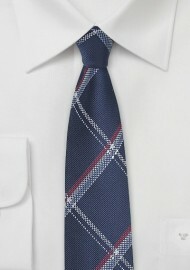 What gives this tie a more modern touch is the narrow cut of 2.75". It is narrow in width but not too skinny to be unsuited for everyday business wear. It looks fantastic with slim cut suits in gray, navy, and charcoal. Also available in burgundy red with silver plaid.